We are in the third week of the SAQA art quilt auction. If you haven't checked it out yet, please do. 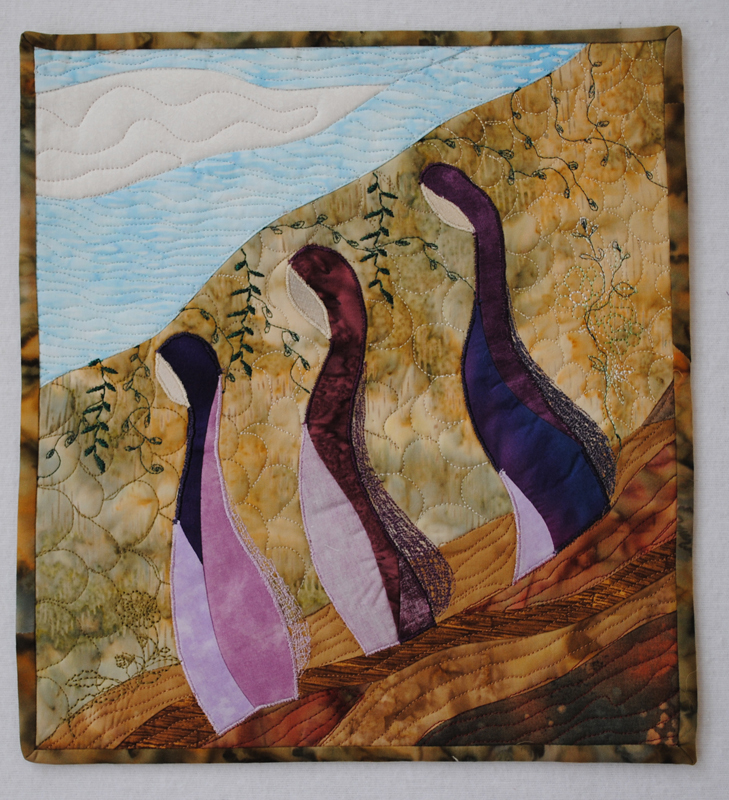 New quilts are added each week so there are still plenty to bid on. These foot square quilts make great gifts for the upcoming holiday season. 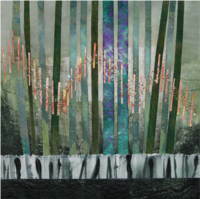 I am delighted my contribution, Journey, sold the first week. It was my first donation and I worried a bit that no one would bid on it. I was so pleased that I have started planning my donation for next year! 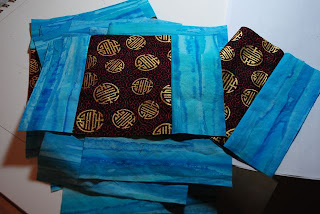 Moving along with my October projects, piecing has started on a quilt that just begged to be made from a pile of fabrics. And, the benefits of participating in the Sketchbook Project have started to surface in ideas for a new art quilt series. 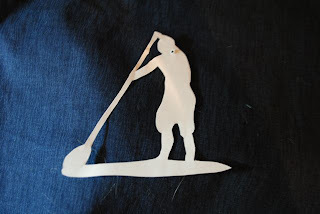 Here is a paper silhouette I created that I hope to use in a small art quilt in the series. I am going to do some experimenting with a piecing technique for the background and with adding the figure so I am getting antsy to get this project into fabric. I seem to take forever creating a quilt. I like to let things percolate a bit between phases. It seems that when I rush through the creation I make more errors and spend time ripping out and wishing I had thought more about what I was going to do next. I admire those who can whip out a piece quickly. I suspect I am this way because I so enjoy the process of creating a quilt that I don't want to rush it. In any event, this certainly does make me a 'low volume' quilter, but hopefully the quality of each piece is high.